The Six Sigma project charter document is the most important document of the Define phase of the Six Sigma DMAIC structure. Remember that, according to Lean Six Sigma Green Belt course, DMAIC stands for Define, Measure, Analyze, Improve, and Control. There is also the DMADV structure (Define, Measure, Analyze, Design, Verify) which you can learn about in online free Six Sigma courses. In the Six Sigma Define phase, a project charter document is compiled. 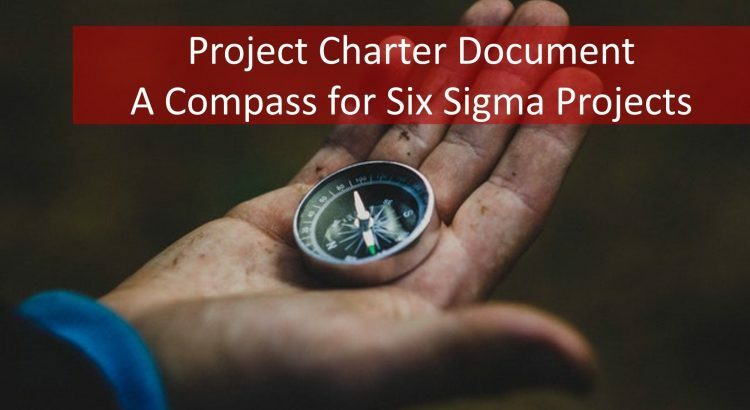 This project charter document is the compass which the project team uses to navigate their Six Sigma project and to ensure that they stay on course. The project charter document has several elements. Besides the main elements of the project charter document (business case, problem statement, goals, goal statement, project scope, project plan, and team structure) there are four additional elements to the project charter document. If you are wondering how to write a project charter, here are the 4 elements of the document. 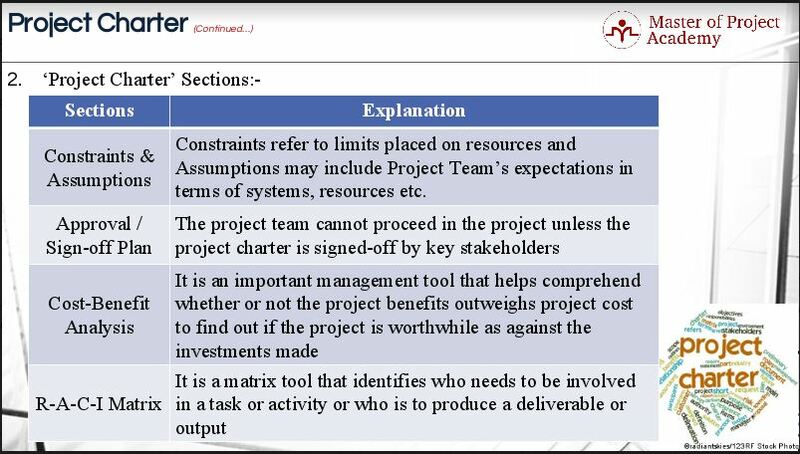 The first element of the project charter document here is Project Constraints and Assumptions. The nature of assumptions made may vary from stakeholder to stakeholder. Assumptions might include how often the Champion expects to meet the team leader and team, how he or she will support the team when it runs into roadblocks, and the freedom the team has to implement solutions without the approval of the Champion. These assumptions amount to a list of the Champion’s expectations as one of the customers of the team. All of these points must be captured in a project charter document. The second element of the project charter document relates to approvals or sign-off to the project charter. The project team cannot proceed with the project unless and until the project charter document is duly signed off by the champions and sponsors. Let us not forget the fact that the purpose of the project charter document is to define, at a high level, what the Project Team will deliver, what resources are needed, and why it is justified. The project charter document also represents a commitment to dedicate the necessary time and resources to the project. For this critical reason, the project charter document has to be shared with all key stakeholders for securing their sign-off as and when appropriate. The third element of the project charter document is Cost/Benefit Analysis. Let us first have a look at what cost/benefit analysis is. It is an important management tool that helps understand if and when net cash Six Sigma project benefits are equal to or begin to outweigh the net costs or outflows of the Six Sigma project. The study evaluates if the project is worthwhile and whether or not to proceed with an investment. This technique should be utilized at the onset of a project, during its planning phase, and should be re-evaluated throughout the Six Sigma project life cycle (including the project close) to monitor the project’s financial performance, its healthiness and validate assumptions too. The fourth and last element of the project charter document is RACI matrix. R-A- C-I is an acronym that stands for Responsible, Accountable, Consulted and Informed. 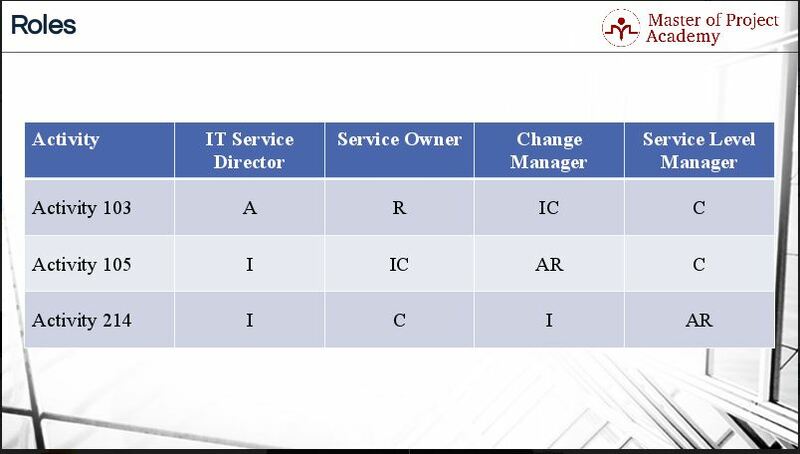 The matrix is also known as the roles and responsibilities chart that goes into the project charter document. It is a straightforward matrix tool that identifies who needs to be involved in a task or activity and /or who is to produce a deliverable or output. Please note the magnitude of R-A- C-I matrix, in a Six Sigma project, is not only limited to DEFINE phase but; also to all the phases of DMAIC framework. The RACI applies to two scenarios—a project team and the process players. When applied to a Six Sigma project team, the RACI designates a person by name. When applied to a process, the RACI specifies a job title, role, or job function associated with the process. Responsible stands for R – This person or role performs as a ‘Ground-level executor’. For any one given task or deliverable, it may have multiple people assigned to be responsible for it. These are the people who are required to do the work to produce the output or complete the task. Accountable stands for A – It represents the one person to whom the responsible people are accountable. The person, who is noted as ‘Accountable’ in RACI matrix, is the single individual who takes the ownership of one or more critical or non-critical tasks if it doesn’t get completed or fails to meet requirements as set out in the project charter document. Any given task or deliverable may have only ONE accountable person assigned to it. The accountable person may also be a part of other roles i.e. Responsible, Consulted, or Informed. 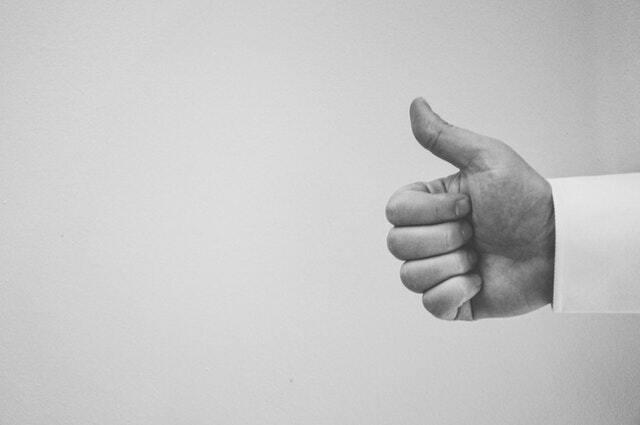 Consulted, stands for C – This person is known as the subject matter expert. The consulted person possesses unique information or capabilities which are necessary to complete the work. This person provides all relevant inputs. This role may or may not be assigned any specific task or deliverable. Informed stands for I – This person needs to be notified of results and rarely needs to be consulted. Often this person represents the customer of a task or output either directly or downstream in the process. The informed person also may be a key stakeholder who needs to be apprised of the task completion. This role may or may not be required for any given task or deliverable. These four elements are included in the project charter document in addition to the main project charter document sections: business case, problem statement, goals, goal statement, project scope, project plan, and team structure. The R-A-C-I model is also useful when defining the team structure. The project charter document takes on many forms and varies from company to company, but always have these main elements in common. The project charter document is the heart of the Define phase of the Six Sigma DMAIC structure.